To blog or not to blog that is the question???? 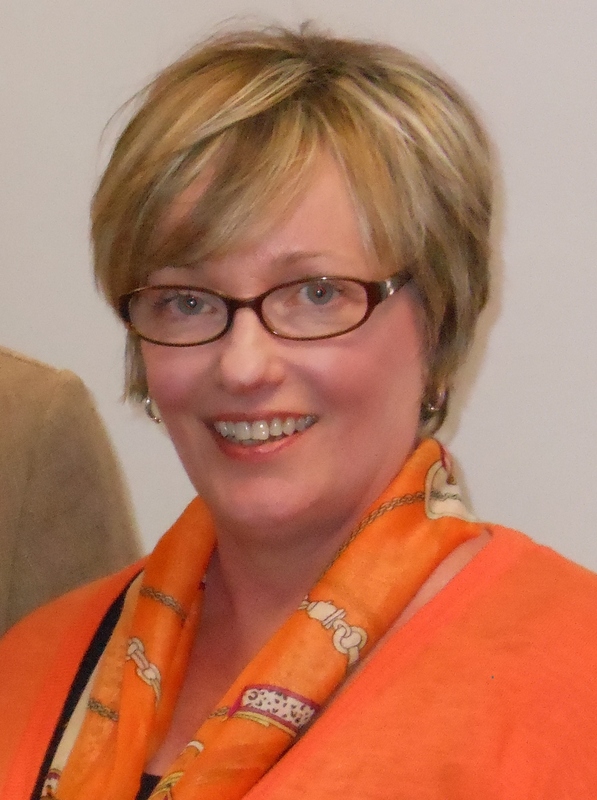 My readers, fellow bloggers, and writer friends get to decide the future of Pensees. (P.S. the other blog was Bloggy Mountain Breakdown, people didn’t read it so I decided it was a waste of valuable writing effort, I am closing it today, end of that discussion). I need your help and a healthy dose of reality. This is an open forum for debate, it’s your turn to talk and my turn to listen. Don’t worry about hurting my feelings I am not hypersensitive and I don’t hold a grudge. (1.) I entered a few writing contests and that took all my writing time. (2.) I started a new job. Anything new is challenging and time-consuming. (3.) I wrote and taught a ladies Bible Study at my church. It took several hours a week of intensive teaching preparation. (4.) I learned that anything posted on a blog is legally published (wooohhoooo I guess that means I am published)so I can’t submit to other publications anything that already posted. (I can hear my favorite English teacher sucking all the air out of the room because I used the passive voice at least twice in the above sentence, sorry Cecelia Johnson). Those four things are not excuses, they are legitimate reasons. So what’s up in the world of bloggers? Do we go, do we stay? If you don’t have time to comment via the blog, Facebook message me. HELP, I only have an hour or two each day and few hours on the weekend to write. Do I spend it blogging or do I concentrate on larger works? Maybe I should finish the novel that is outlined and ready to write. Or I could press on to start the memoir that is in my head (and it’s on a few post a notes all over the office)? This is Adele. She is the daughter of my friends Adam and Emily and she is also Graham’s little sister. Adele is a beautiful child. She has big brown eyes and a happy smile on her face most of the time. 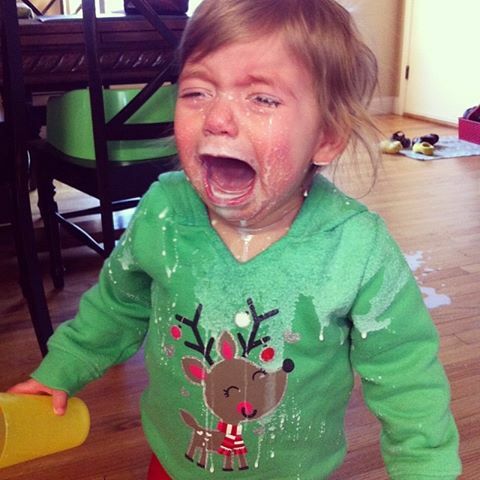 Her mom posted this picture on Facebook this morning, the post was titled “Don’t Cry Over Spilled Milk.” I laughed out loud and immediately asked Emily for permission to use it on the Pensees blog. Look closely at the photo. I learned several lessons as I giggled at Adele’s predicament. Lesson One: Let your child learn lessons on her own, even if you have to clean up their messes while they are young. Mess ups are more expensive when they are teenagers. Lesson Two: Look over by the door, there is a neat mat with children’s shoes that are removed. 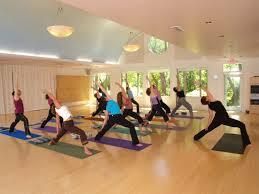 Excellent habits are encouraged by parents but seldom is perfection achieved. Lesson Three: See the puddle of milk behind her, it didn’t take her long to realize that she blew it. She went looking for help. When children mess up they know it, they are looking for understanding not ridicule. Lesson Four: Notice she is still holding the cup. Don’t let your child hold on to evidence of the failure and don’t bring it up their entire life. Encourage them to let go of the mistake. Allow them to forget. Lavish them with your love and mercy. There is not a person in the world who makes only one mistake in their life. Everyone needs a do over from time to time. Lesson Six: Knowing my friends Adam and Emily, I am sure they quickly cleaned her up and gave her more milk. Restoring her quickly and gently will change her view of mistakes. Restoration rebuilds healthy self-esteem and frees the child from a fear of failure. As adults we mess up, too. But we have a heavenly Father who meets us in the middle of the messy parts of life. This is January 1, 2014. Let’s learn from Adele and from God’s Word. Nehemiah 9:31, speaks of God’s character and care of His people, “But in your great mercy you did not put an end to them, for you are a gracious and merciful God.” Don’t cry over spilled milk this year. Move on and do like Adele pour yourself another cup and simply start over. 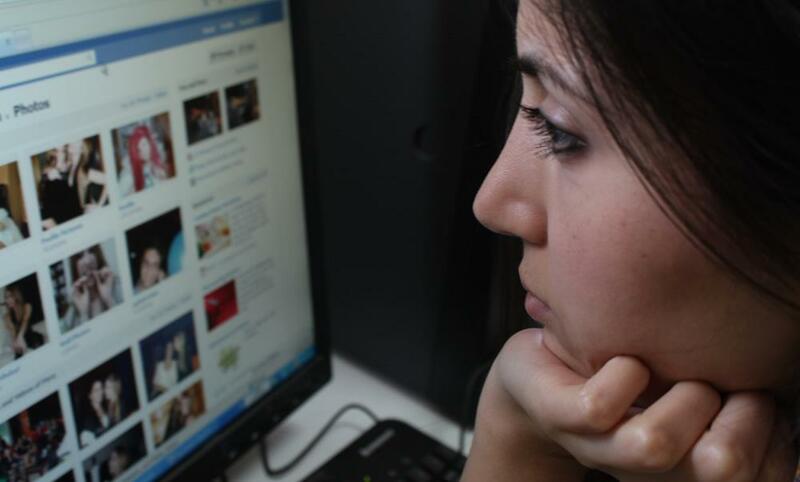 What kind of emotion does Facebook evoke as you look at the news feed each day? I asked myself the same question the other day. I have been a part of Facebook for several years. It is a great way to network, promote, and market. I like it because I can stay in touch with friends and family, too. When I started using it, I was thrilled to see faces I haven’t seen in years. With a few words and a little time, I could reconnect with others. I enjoyed celebrating the posts of an ever-growing friends list. But the other day, I realized I have a bad attitude when I look at Facebook. 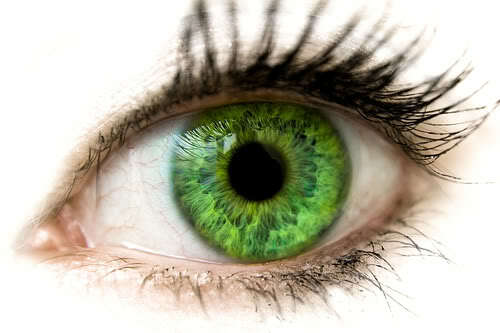 The old green-eyed monster, also known as, envy has an ever-growing corner of my heart. I log in to Facebook and I see people (Facebook friends) living in beautiful, decorated homes. I notice others on exotic vacations to sunny destinations. Still others have seemingly perfect kids and grand kids. Their lives look like a celebratory observance of the ordinary. My life repeats itself daily. I get up, go to work. I come home and fix dinner. I go to bed and get up and do it all over again. On the weekend, I get up and do laundry, I run errands and run myself ragged getting it all done. That doesn’t make for a an interesting feed on Facebook. If I made up information I couldn’t live with myself. That is my reality no matter how I dress it up or embellish it. So, what is one to do when you notice a bad attitude in the heart? First, you recognize the problem, then you confess it. Finally, you nip it in the bud (Barney Fifeism)! Simply and quickly I plan on uprooting the sin from the corner of my heart. What feelings surface in your heart when you look at Facebook? Comment below, we can all learn from one another. Have you ever hurt your neck and you aren’t sure how it happened? I experienced that firsthand a couple of weeks ago. I was minding my business, backing out of an ordinary parking space, and a searing pain shot through my neck. It penetrated deep into the tissue and bone. Immediately, my neck was so stiff, I couldn’t turn to the right or left. As I drove home, I had to reposition my entire body in order to make safe right and left turns. For several days, I could only look straight ahead. Driving, sleeping, and working was difficult. Thank goodness it only lasted a few days. God describing His people as stiff-necked was not a compliment. This word is defined: obstinate, stubborn, willful, rebellious, unruly, and ornery. It means a person has a major attitude problem and an unwillingness to be led. Over and over in scripture God describes His disobedient nation in this unbecoming, uncomplimentary way. 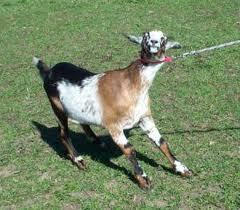 In my imagination, I think of a stubborn old goat that refuses his masters leading when I hear this term. I never want another stiff neck physically but more than that, I don’t want the Lord to describe me in this way. A stiff neck happens when we become hardened to the master’s leading and so certain of self, that we are not easily guided back on the path of spiritual wholeness and wellness. A spiritual stiff neck is a result of pride. So what’s the remedy for this? It’s simple, give your situation over to the Lord. Ask Him to work the kinks out of your life. It might be painful for a time but, He is a gentle healer. Do I Look Like Wonder Woman? A few weeks ago we had a staff retreat. The goal was to do team building exercises and planning for the next year. Since super heroes are popular again, the first ice breaker question was, “If you could have one super hero power what would it be?” I loved everyone’s answers and since I was last in the circle, I had plenty of time to think. 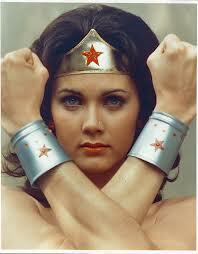 Someone asked me at lunch why I chose Wonder Woman powers. I openly answered, “Don’t you think it would be great if every time someone aimed something critical or ugly your way, you could simply cross your wrists and let it bounce off you?” As another person in fulltime ministry, my co-worker laughed and heartily agreed. 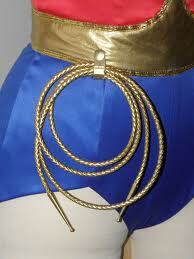 I went on to explain that a lasso of truth would have been great when I was raising teenaged boys. I could wrap it around them and get all the honest details of where they had been and what they had done. How will you use the supernatural power that you have this week? Will you use it to fight a verbal attack or will you use it to find Truth in a new way? October 16 is Blog Action Day 2013. The theme this year is Human Rights. It is a world-wide blogging opportunity and over 100 countries are participating. So, the issue I chose to discuss on Blog Action Day is bullying. The definition of a bully is “a person who hurts or browbeats those who are weaker.” All of us have encountered these villains at one time or another. There are bullies at work, in the media, and in politics. I want to speak to the ones, we all have experienced, the school bullies. Several years ago a bully would steal your lunch money, call you names, and make fun of your clothes or family. 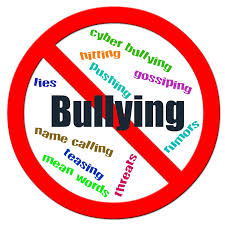 But today, with the increasing use of social media, cell phones and cameras, bullies can harass and expose weaker ones with unharnessed abandon and lack of consciousness. Countless young people have had their reputations smeared and irreparable damage done to their lives. There are news reports about students who resort to suicide because they have lost hope after verbal, physical, and cyber attacks. What is the answer? What can we do to stop this madness? The first thing we do, is speak openly and honestly to our children and grandchildren. Make it real and make it personal. Tell them your own stories, treat your experience as a part of your legacy. Second, we use unspoken communication to train and teach. We model right behavior. We don’t mock others or make fun of people. We tune out radio and television programs that tear others down. Third, we become proactive. 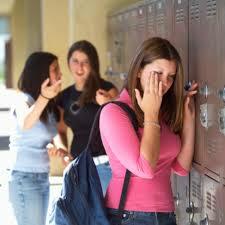 Encourage students to report bullying and challenge them to take a stand for those who are being mistreated. Finally, the golden rule is still relevant today. No matter what your background or religion, it still speaks to men, women, boys, and girls. “Do to others what you would have them do to you.” In other words, treat others like you want to be treated. A culture of honor begins in the heart and at home. Let’s step up, step out, and take a stand today. A friend of mine has several children and each year she takes one of them on a special trip with just her. This year it was her teenaged daughter’s turn and it was going to be her first plane trip. As they arrived at the airport, she used the time to teach her teenager the ins and outs of flying. She walked her through the check in process and everything was going well. As they approached the security area, she explained in detail what to do. She told her daughter to watch her and do what she did and it would all go smoothly. They took off their shoes, jackets, and backpacks and placed them in the bins. Then, my friend went through the metal detector. No problem, no noise, no nothing. Right on her heels was her daughter, following her mother’s lead. When the teenager tried to enter the machine, the TSA agent held up his hand to stop the daughter from entering the detector until her mother had cleared the scanner. Instead of stopping, she thought he was giving her a high-five. What did she do? She gave him a high-five back! No kidding! She did! 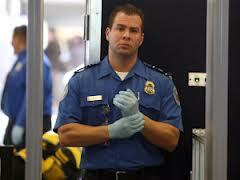 Did you know you aren’t supposed to touch a TSA agent? The gentleman proceeded to scold her, humiliating her in public. Of course, my friend politely set him straight about her daughter misinterpreting his sign. It all ended well, but her daughter learned a valuable lesson that day. It’s important to interpret the signs correctly. Today, I say to you, “Halt! Open your eyes. Don’t miss the miraculous signs and wonders of the Lord.” They are everywhere and they are awesome. 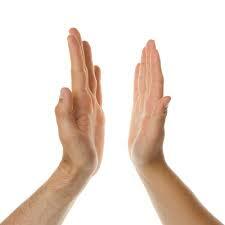 Join me in prayerfully giving God a “Holy High Five.” His wonderous signs deserve it. 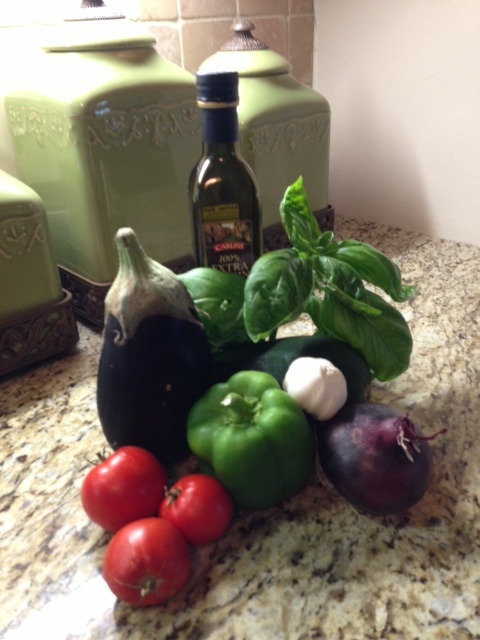 I used eggplant, a small zucchini, garlic, onion, peppers, fresh tomatoes, olive oil, a little Herb de Provence, salt, pepper, fresh basil, and dry white wine. I opened up a can of white Cannellini beans (if for no other reason than they sounded Italian) to add some protein. I put it all in the pot and let it simmer until it was a nice consistency. 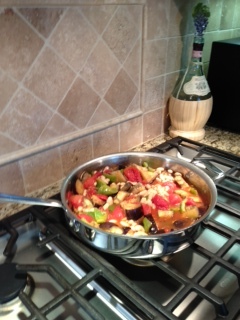 Voila´ratatouille! While it simmered, I made mushroom risotto for the side dish since I had all the ingredients on the shelf. Risotto is basically Arborio rice that is slowly cooked in white wine and broth, stirred constantly with the lid off. Once the rice is tender and creamy, you add parmesan cheese. Mark was surprised when he walked in the back door. He smiled as he smelled the finished dishes and he was excited to sit down to a special meal. I was thrilled to be able to use what I already had to make healthy, satisfying food and to please my husband at the same time. Our lives are a lot like dinner that night. We can look around and wonder what to do with ourselves while in reality, we have all the ingredients for something wonderful right before our eyes. Each of us has been given talents, personalities, the ability think, and the capacity for love. If you are a Christ-follower you have more available in your pantry, additional spiritual ingredients like: fruit of the Spirit (Galatians 5:22), the Bread of Life (John 6:32-35), new wine (Proverbs 3:10) and oil (Psalm 45:7). What an amazing list and that’s only the beginning! We have the ingredients, we simply have to use what we have. When will you take a personal inventory? Look at your resources. What ingredients do you have that are not being used? How will you use what you have so you can experience a rich and satisfying life?